At FirstLight Home Care, we understand the pressure of caregiving and the toll it can take on finances, relationships, and well-being. Caring for an elderly, disabled, or unwell family members can be a highly rewarding experience, but can also be emotionally and physically stressful. 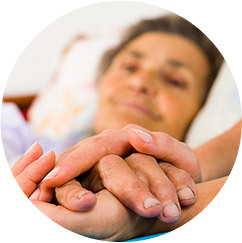 Respite care is temporary assistance that allows the primary caregiver to take a much-needed break. 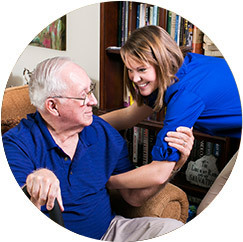 FirstLight Home Care of Guilford has served Greensboro, High Point, and Jamestown since 1999 with respite care and in home care programs which can be arranged on a casual basis, or can take a more structured approach, allowing a caregiver to return to work. Care can range from short to longer-term solutions and programs are designed in close consultation with caregivers and their loved ones. 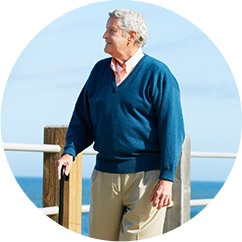 We have worked with thousands of families like yours, offering guidance on when to seek respite care and in home care services for your loved one in Greensboro, High Point, and Jamestown. We pride ourselves on being here to support you and your family when you need it the most. Are you in need of respite care and in home care services for your loved one in Greensboro, High Point, or Jamestown? Contact us at FirstLight today to learn more! We also proudly serve the communities of Summerfield, Forest Oaks, Pleasant Garden, and Oak Ridge.